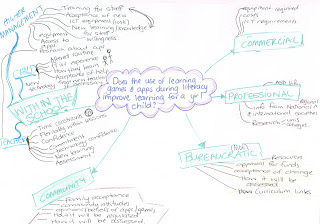 My central research topic focuses on the use of learning games and apps within literacy learning for an ASD child in year 1. The change is the introduction of learning games and apps into the learning for an ASD child. After looking at the arena of change information I used this as a basis for my own mindmap. I have found that creating a mindmap across different contexts is quite helpful, I have recently taught how to use a mind map so it was great to watch the Youtube clip about creating a mindmap, this is a clip that I will keep for future reference, It would have been a great clip to show in the classroom. 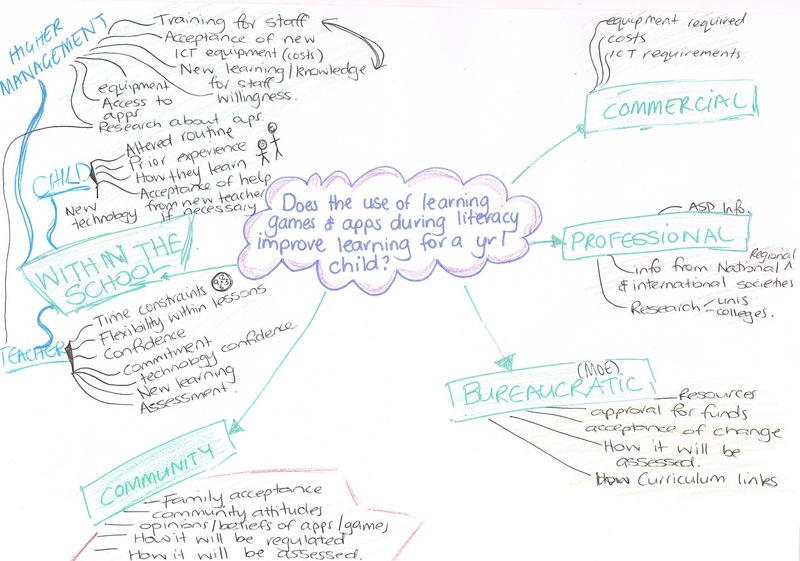 So using the above tools I started to create my own mindmap showing how implementing apps and learning games will have a ripple effect along the ecosystem where it will effect more then just the teacher and the child. I found that there would be more changes within the school then there would be in others areas of the ecosystem. 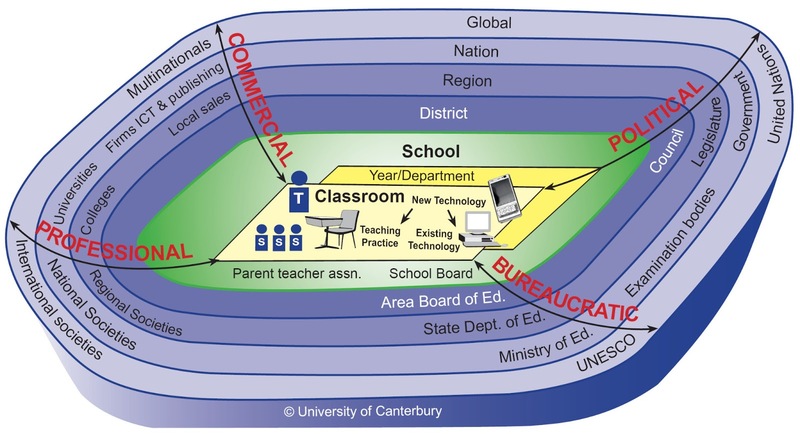 There would be a lot of changes for the teacher to deal with to allow him/her to implement this into the classroom, the introduction of technology into the class in a different way, meetings with a specialist to ensure the apps were beneficial for the child as well as how it is going to be assessed but also the child would be affected by the change as well if they weren't used to using the technology, the change in routine and confidence. Still within the school the changes would need to be allowed by higher management and other teachers would require a certain amount of training or new knowledge about the change, there would need to be research completed, information given on how the learning is assessed as well as discussions with people in the Bureaucratic and Professional parts of the arena. Products and apps would need to be brought and installed from commercial sources. It took me a bit to wrap my head around the arena of change but I think after writing all of the above I get it. Anything that is changed is going to effect more then just the person making the change. The change will have an effect on a lot more people within different parts of the school as well as further out into the world. I see this as being like a ripple effect, making changes all along the ecosystem. Check out this TED talk on using games for learning; it's pretty interesting. It's sort of related to your topic and may help. 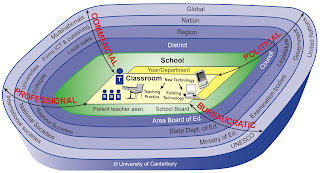 Hi Jennifer, Lookimg at your mindmap, it was clear that as well as the changes in the school, as you said, there would be something filtering back to home and community as well. I am guessing that because it is year one, the children have a strong connection there.